Fire Pits: Bad Rap or Death-Trap? Fire pits can be a fun outdoor activity in the chillier months of the year. With the holiday season approaching, roasting marshmallows over a fire seems like a very appealing activity that can fun for both adults and children. According to a recent survey, 67% of homeowners said they wanted an outdoor fire to keep parties going as the night air gets nippy. However, fire pits can be very dangerous to homeowners and the environment, especially if they are not properly tended. The United States Fire Administration reports that approximately 5,000 Americans are injured by charcoal, wood-burning or propane gas fires. Fire pits are included among this statistic and come with many safety risks. While we recommend avoiding the fire pit scenario all together, many of you will continue to fuel the fire pit regardless of the warning signs. If you insist on burning, here are some tips to do so safely and some reasons why fire pits have earned their well-deserved bad rap! Fire Pits: Why The Bad Rap? So why are fire pits getting such a bad rap lately? 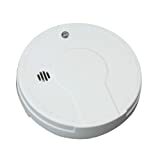 According to the United States Fire Administration, in less than 30 seconds a small flame can get completely out of control and turn into a major fire. The excess of smoke can sometimes lead to lung irritation and have additional environmental concerns. Fire uses up the oxygen you need and produces smoke and poisonous gases that kill. Breathing even small amounts of smoke and toxic gases can make you drowsy, disoriented and short of breath. The Maine Bureau of Air Quality recommends using only seasoned firewood and burning it in a way that promotes complete combustion—small, hot fires are better than large smoldering ones—to minimize the amount of harmful smoke. We understand that while the reasons are very clear for why you should avoid the fire pit scenario all together, many people insist on burning one this holiday season. For this reason, we have provided some safety guidelines so that your experience will be a safe one! Following certain safety precautions can help reduce your chances of injuries. Use these tips to keep your friendly fire from getting out of control. Station your fire pit on a level ceramic, concrete, stone or brick surface that’s at least 10 feet from your house, trees, and anything flammable. Don’t put the fire pit on a grassy surface, wood deck, or enclosed porch. Before you light anything on fire, check which direction the wind is blowing to ensure the right location for your fire pit. Never start a fire with kerosine, alcohol, lighter fluid, or gas. Discard used matches only after they are completely extinguished. Try dipping matches in a cup of water before discarding them to be sure they are completely out. Always burn dry, seasoned wood that was cut at least six months earlier. To keep sparks from flying, make sure logs are no longer than three-quarters of the pit’s diameter. Be prepared! Keep a bucket of sand, a fire extinguisher, or a garden hose nearby in case things get too hot to handle. Additionally, if any cuts or burns were to occur, be sure you have a first-aid kit handy! Supervise children at all times when using a fire pit. Teach your children about the dangers of fire and do not leave them unattended by the open flame. Having children sit further back than 3 feet is important, as sparks can still fly from the fire into the open air and cause minor burns and injuries. Be sure the fire is completely extinguished before leaving it unattended. 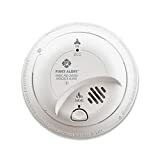 However, just in case something near or on your house were to catch on fire, it is important to always have a working smoke detector in every home. 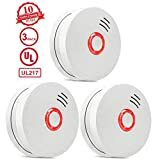 Consider a monitored smoke alarm from Protect America. If you’re using a propane gas fire pit you’re going to want to check and make sure that you don’t have any leaks before you start your fire. If an emergency does occur make sure you turn off the gas supply if possible as soon as possible. You should clean your burners and pipes regularly to avoid build up and keep the fire area clear of clutter. Do not add any lighter fluid, gasoline, paper, or any other flammable materials to your propane gas fire pit. In some places prone to wildfire, disclosing your fire pit may be a requirement of your homeowners insurance policy. It may also be a good idea to check in with an insurance agent to understand any potential impact a fire pit may have on your coverage. Also, be sure to contact your local fire department or municipality to determine if there are any laws against having a fire pit in your backyard. Some counties and cities have laws that prohibit open flames in backyards, and others require your home to be inspected for general safety hazards. Protect America encourages everyone to use and maintain their smoke detectors and remember to be safe this holiday season!